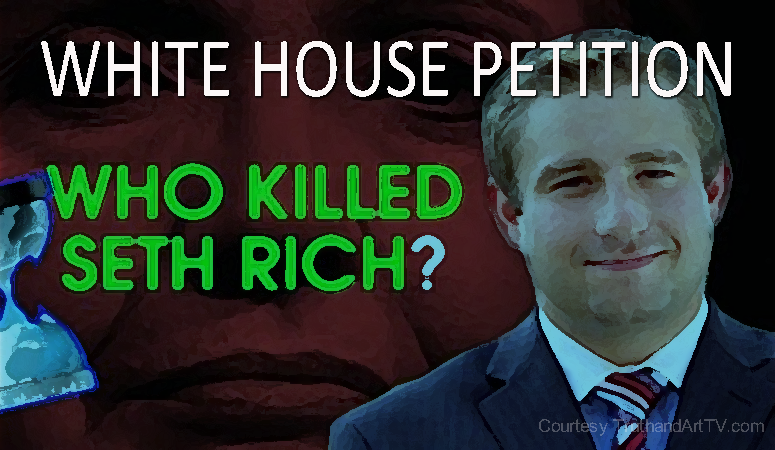 The now growing details surrounding the murder of DNC insider and IT specialist Seth Rich is now going viral and has given birth to a petition which can be found on whitehouse.gov. As of the time of this writing the petition titled- "Appoint a Special Prosecutor to investigate the murder of Seth Rich, the alleged Wikileaks email leaker" has over 32,000 signatures and needs another 67,000+ signatures. Advocates of and activists behind this petition as well as many of those in the alternative media, Trump supporters and just people who care about truth are all coming together to help make this critical investigation a reality. The reason being is that the truth about the Seth Rich murder will once and for all end the issue of "hacking" and "Russiagate". The fact of the matter is that evidence has been mounting since day one that Russia had nothing to do with the now well known Wikileaks which revealed the dark side of the Democratic party including corruption, murder, collusion with the mainstream media to elect Hillary Clinton, pedophilia and child trafficking hidden in commonly known (to FBI) pedophilia code talk in the emails and much more. We are asking that Americans identify and push back against the Liberal Left, pro-new world order, pro-globalist, pro-corruption, corporate mainstream media which created the "fake news" psyop to distract Americans from looking into pedophiliagate revealed by Wikileaks and is now attacking anyone for looking into the Seth Rich murder. They are doing all of this to prevent the masses from seeing, believing and understanding the degree of criminality revealed in the Wikileaks. If you understand what is at stake please take a moment to sign the petition and share with someone you know. The future of America, the Republic and thus protected individual freedom really is at stake. Don't allow the pro-globalist corrupt mainstream media to win. Fight for truth and justice!